AR-34 Applications : Packaging of agricultural fresh produce, pesticide-free produce, fresh-cut, foods, and flowers etc. · AR-34F : Packaging material for produce, flexible packaging food film, fruits MAP storage bag, food tray etc. · ARF-1 : Special packing film for flowering plants etc. AR-34 series, Hangreentech's freshness-keeping materials, are classified into 4 groups. 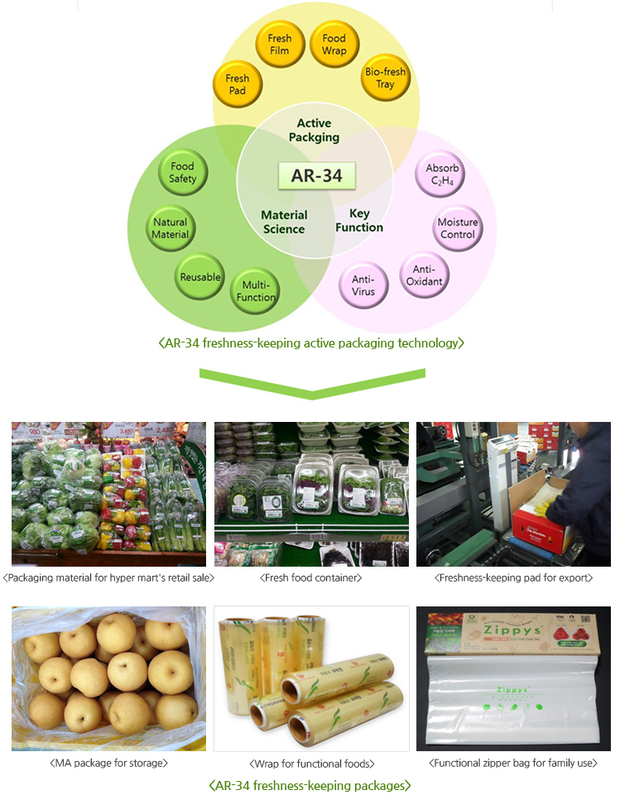 First, 'AR-34F' is the packaging material for fruit and vegetables. Second, 'AR-34MF' is the packaging material for meats and fishery products. Third, 'AR-34DF' is the packaging film for dried food. Fourth, ARF-1 has an outstanding effect on flower. All our freshness-keeping packaging are manufactured with the optimized AR-34 in consideration of the packing contents' features, such as breathing characteristic, moisture content, nutritional contents (protein, fat, carbohydrate etc.). 'AR-34', Hangreentech's freshness-keeping material, exerts various specialized functions absorbing and decomposing the noxious gas in packaging and vitalizing the organic body, contolling moisture, antibacterial while having the merits of general synthetic resin (PE, PP, PS, PET) which is used for packaging materials. 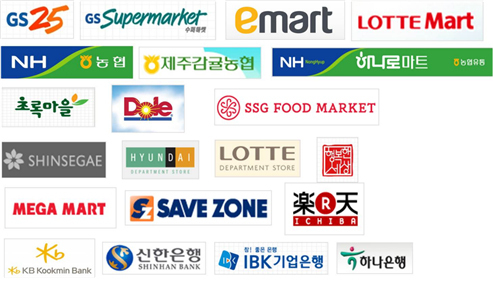 We serve our clients by facilitating successful fresh produce transactions with innovative packaging and services.